At the time of the outbreak of the French Revolution, The Netherlands was still a republic, albeit a very business-minded republic with a prince, usually, holding the place of honor in government. This was the United Provinces, as they were often called, though some still referred to the area as the Spanish Netherlands to differentiate the lands from Belgium which was known as the Austrian Netherlands. Both areas were to see rebellions and upheavals and their destinies would prove to be intertwined. 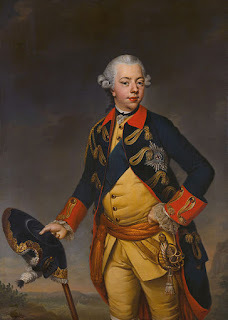 In the Austrian Netherlands, Catholics and leftist republicans joined forced in opposition to Emperor Joseph II to proclaim the independence of the “United States of Belgium” which was eventually suppressed by Emperor Leopold II. The trouble brewing in Belgium, where Catholic opposition to the Emperor brought about a common cause with the dissident, revolutionary sect, was the primary reason why Joseph II was probably the most anti-American and pro-British monarch on the continent during the American War for Independence as he feared the precedent this would set for his Belgian subjects. 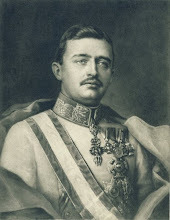 In the United Provinces, there had long been a tension, periodically breaking out into violence, between the republican faction and the royalist faction (or ‘Orange party’) of Dutch politics with the republicans wanting to keep the country a republic and, indeed, make it even more republican while the Orange party wanted to empower the Prince of Orange and make him king. The American War for Independence also highlighted this division as the Prince of Orange, Willem V, favored the British while the republican government favored the American patriots and ultimately succeeded in bringing the Dutch republic into the war against Britain alongside the American rebels (though the Dutch did not benefit by it). As in Belgium, the Dutch republicans seem to have been inspired by the American example as illustrated by how they began calling themselves the Patriot party in opposition to the Orange party. They became even bolder until finally clashes broke out between the Patriots and the Dutch army which tended to be loyal to the Prince of Orange. 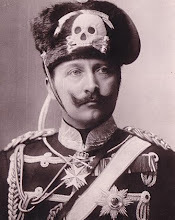 The situation became so serious that it took an armed intervention by King Friedrich Wilhelm II of Prussia to see the Dutch patriots cleared out. Prince Willem V was thus in control but only by the grace of Prussian bayonets when the French Revolution began to come to a boil and, given recent events, he was well aware of the danger of such ideology spreading. 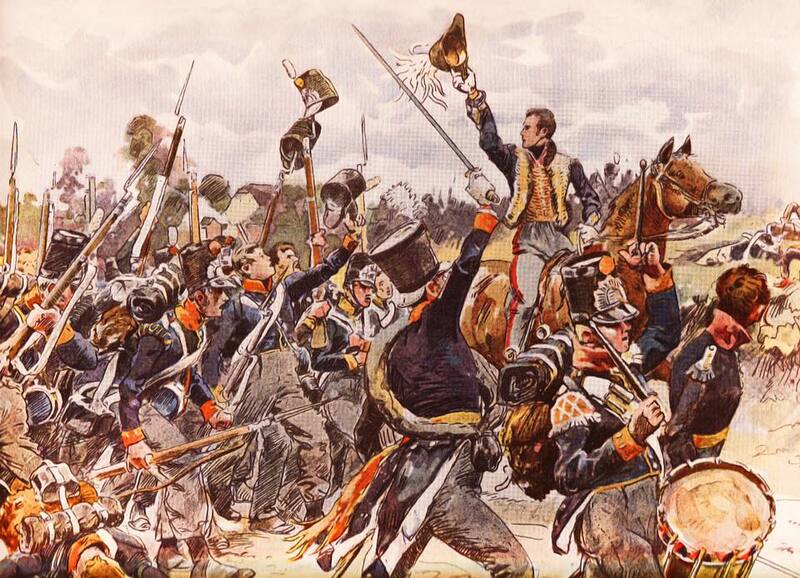 In 1792 the French declared war on Austria and prepared to invade Belgium where they expected popular support. The Prince of Orange, not being in the strongest position, held back. However, 1793 saw the regicide of King Louis XVI of France and every royal in Europe was instantly made aware of how serious this situation was. On February 1, the United Provinces, led by Prince Willem V, declared war on the French Republic, joining the “War of the First Coalition”. There was, originally, some success when an Austrian-Dutch army led by the Prince of Coburg defeated the French under General Charles Dummouriez at the Battle of Neerwinden on March 18 in Belgium, however the Prince of Orange and his Dutch troops were defeated at Menin on September 3 and another Austro-Dutch army was defeated by the French at the Battle of Wattignies in October. The Austrians on their own, as well as the British and their German comrades did no better in the face of the mass conscript armies of France. 1794 saw the last of the coalition forces driven from Belgium and the country was annexed to the French Republic and would remain so for quite some time. That same year, French forces under General Charles Pichegru invaded the Netherlands along with a contingent of anti-Orange Dutch patriots led by General Herman Willem Daendels in a surprise attack during the harsh winter. 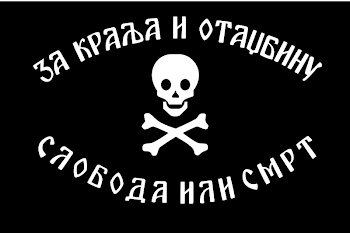 Local republican revolutionaries rose up in support of the invaders, making things even more difficult. Whereas, in the past, the French had been traditional enemies of the Dutch, the French had made themselves the most acceptable allies for Dutch, Protestant, republicans by embracing republicanism and tearing down the Catholic Church as well the monarchy. The French republicans declared that they had come to “liberate” the Netherlands and in 1795 declared the country the Batavian Republic. Defeated from without and betrayed from within, Prince Willem V was forced to go into exile in England. The new French-backed Batavian Republic was declared a “sister republic” of France, one of many such puppet-republics the French established in the wake of their armies. However, not everyone felt “liberated” by this turn of events. The behavior of the French republicans won them few friends outside the already ideologically committed and the French also annexed Flanders, Maastricht, Venlo and part of Walcheren with Flushing to France. 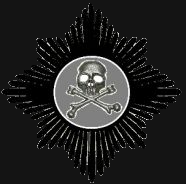 The British, however, still had a good intelligence service operating in the area and took notice of the growing Dutch discontent with their so-called liberators and in 1799, as part of the War of the Second Coalition, launched a joint invasion of the Batavian Republic along with an Imperial Russian Army force. The British were led by the “Grand Old” Duke of York and the Russians by General Johann H. von Fersen. They were met by a Franco-Batavian (Dutch) force of about equal size but, after initial success, in battles lasting from August to November, the Anglo-Russian army was ultimately forced to retreat, leaving the Netherlands once again to the First French Republic and their local collaborators. 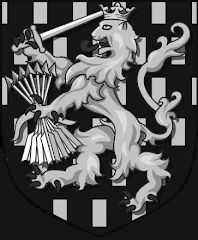 The House of Orange had not been mere spectators to these events as the Hereditary Prince of Orange, later Willem VI, participated in the campaign alongside the British and Russians. In fact, he was instrumental in the seizure of a naval squadron known as the “Vlieter Incident” with the ships ultimately being sold to the Royal Navy. The Prince of Orange also wrote a series of letters in 1795 known as the “Kew Letters” while in exile, instructing the governors of the Dutch colonies overseas to resist the French and cooperate with the British, in his capacity as Captain-General of the Dutch armed forces, in the hope of keeping these territories from being controlled by the Batavian Republic. Malacca, Amboina and West Sumatra (in the Dutch East Indies) did so and surrendered to the British without opposition. Cochin, or Dutch Malabar in India, on the other hand, required some “persuasion” from the Royal Artillery but, in the end, the Dutch holdings in India and Ceylon were captured by the British. Also in 1795 the British sent an expedition to seize control of the Dutch Cape Colony at the bottom of Africa. The local Dutch forces offered determined resistance but were finally compelled to surrender on September 15. Later, the British would hand the cape over to the Batavian Republic as part of a peace agreement and so another expedition would have to take it back again. When the Napoleonic Wars finally ended, the British would give back the Dutch colonies they seized, but not all of them, keeping some, such as the Cape colony, for themselves as it was a highly prized strategic chokepoint, controlling access to and from the Indian Ocean and south Atlantic. Meanwhile, in 1803, Jan Rudiger Schimmelpenninck was elected President of the Batavian Republic but things began to change thanks to the grander aspirations of one Napoleon Bonaparte. 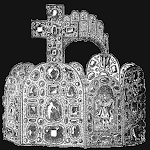 After succeeding in making himself “Emperor of the French”, the client republics that France had set in neighboring countries suddenly received an upgrade to become client monarchies. 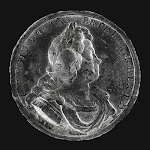 In 1806 the Batavian Republic, at the behest of its French masters, became the Kingdom of Holland and the Emperor Napoleon awarded the new Dutch kingdom to his brother Louis (originally Luigi) who became King Ludwig I of Holland (or to be more precise, Lodewijk I). This led to a rather unusual situation as the new King Ludwig proved to be quite popular with his new Dutch subjects. 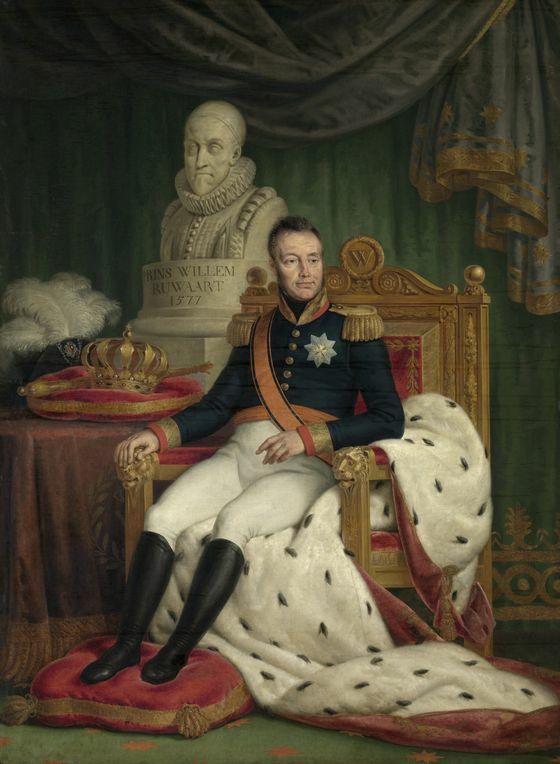 Unlike, for instance, Napoleon’s older brother who became King of Spain, many Dutch people embraced their new monarch or, at least, did not dislike or oppose him. 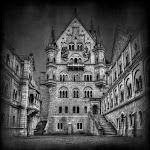 To his credit, Ludwig I took his new position seriously and tried to be a good king. That, however, ultimately led to trouble with his brother. King Ludwig I was supposed to be little more than a puppet but he was a puppet who tried to pull his own strings and when Dutch and French interests conflicted, Napoleon expected French interests to prevail. However, his brother actually stood up for Dutch interests which caused Napoleon no small amount of frustration (and at a time when he had much to be frustrated about). This tension between the two Bonaparte brothers was exacerbated by the effort of the Emperor Napoleon to defeat Britain by means of economic strangulation. He instituted the Continental System which forbid France and all countries controlled by or allied with France from trading with the British which, as it turned out, proved more ruinous for the continent than it did for Britain and particularly for The Netherlands which had a heavily trade-based economy. Needless to say, smuggling soon reached epidemic proportions because of this and Napoleon was so desperate to stamp it out that in 1810 he simply annexed the Kingdom of Holland and it was absorbed into the French Empire. The former King Ludwig I, by then none too popular with his brother, fled into exile in the Austrian Empire and remained there for the rest of his life. So it was that, until 1813, the Dutch, willingly or not, mostly fought alongside the French under Napoleon. For some, this did not seem all that unnatural given the long history of Anglo-Dutch rivalry and warfare. Because of this situation, there were prominent Dutch military men on both sides of the conflict. 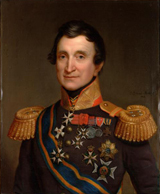 General Jan Willem Janssens had fought against the British at the Cape Colony and Java, was made Secretary-General for War for the Kingdom of Holland by Louis Bonaparte and then, after annexation, fought for Napoleon under Ney in the War of the Sixth Coalition. 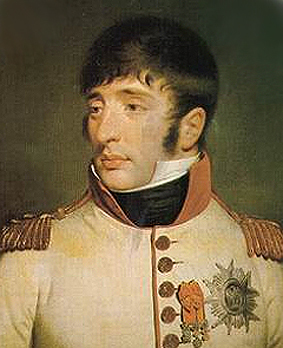 He would later serve as War Minister for the Kingdom of the United Netherlands in the last campaign against Napoleon. 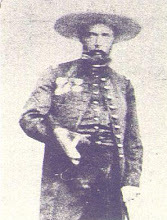 General David Hendrik Chasse, regarded by many as the best Dutch soldier of the period, was from the Patriot party and commanded the Dutch brigade that fought for Napoleon in Spain for which exploits he was elevated to baron. 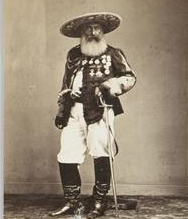 He carried on in French service after the annexation but remained bitter about it though he won decorations and promotions for outstanding service, even being credited with saving the French army at the Battle of Maya. 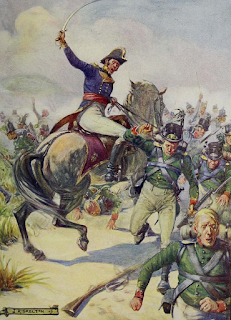 For his offensive spirit and fierce attacks, Napoleon nicknamed him, “General Bayonet”. He too though would later fight against Napoleon as commander of the Third Netherlands Division during the Waterloo campaign. Later still, he would defend Antwerp during the Belgian Revolution. One soldier of the Dutch army who fought against the French revolutionaries as well as Napoleon the whole way was not actually Dutch but a Swiss professional soldier; Jean Victor de Constant Rebecque. He first came to France as part of the Swiss Guard protecting the King. He survived the massacre of his regiment during the Revolution and from there was employed by the Dutch, serving in the regiment of Prince Frederick. When the French conquered the United Provinces, he served with the British and later the Prussians before returning to the British along with the Prince of Orange during the Peninsular War under the Duke of Wellington. After the downfall of Napoleon, according to a previous agreement by the major allied powers, the former United Provinces as well as Belgium were to be united into one country with the Prince of Orange as its monarch. This would be the Kingdom of the United Netherlands which would officially come into being in 1815, combining the Seven Provinces, Belgium and Nassau, though Nassau would later be traded for Luxembourg. This was because the allies wanted a strong monarchy as a buffer between the French and the Germans. Rebecque was instrumental in organizing the Dutch-Belgian army and would serve as Quartermaster-General and chief aid to the Prince of Orange (commander of the Allied I Corps) in the Waterloo campaign. Prince Willem V of Orange was long since gone by then, having died in exile in Germany in 1806 (in fact, his body was only reburied in The Netherlands in the 1950’s). 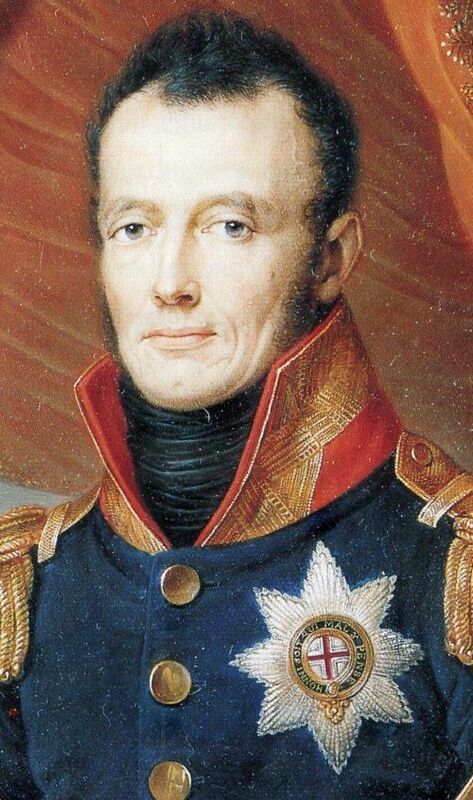 He was succeeded by his son Prince Willem VI of Orange, however, in 1813 he had, with the downturn of fortune for Napoleon, returned to the Netherlands and received quite a warm welcome, almost everyone by that time having turned against the French. In 1815, with the support of the allies, he proclaimed himself King Willem I of the United Netherlands, also becoming, in due course, Grand Duke of Luxembourg. His son and heir was the Prince of Orange who would fight on more than one battlefield as chief deputy to the Duke of Wellington with his old military tutor Rebecque as his ‘right hand man’. Unfortunately, the military reputation of the Dutch, particularly as it concerns the Waterloo campaign, has suffered considerably and quite unjustly at the hands of their British allies, both in accounts from participants, post-war historians and even television filmmakers. Probably because so many had fought with the French, the British may not have been inclined to trust the Dutch too much and, in addition, there was the already mentioned long history of Anglo-Dutch rivalry in trade, colonial expansion and naval supremacy. Whatever the cause, the British quite unfairly ridiculed and derided the Dutch participation in the Waterloo campaign. More recently, historians have done serious research, not simply repeating what others wrote before them and have found that the standard British version of events was not true, indeed, in some cases was shown to be impossible. The truth is that the Dutch-Belgian army played a critical part in the final campaign against Napoleon. 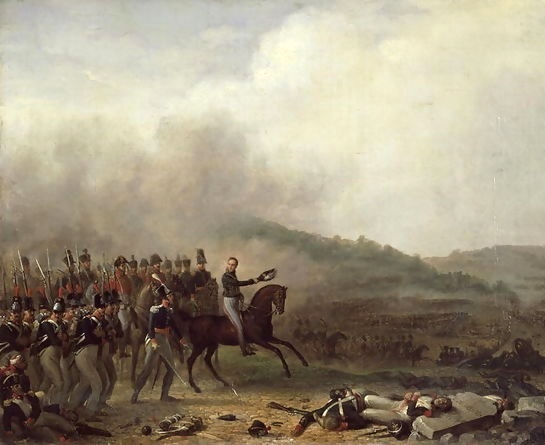 Indeed, if Rebecque had not countermanded an order from Wellington so that the Dutch-Belgian troops stayed and fought at the crossroads of Quatre Bras, the British would not have been able to occupy the choice position that Wellington had picked out to do battle at Waterloo. The Prince of Orange himself, has often been portrayed in a grossly exaggerated way as being totally incompetent. This is also not true. Though the Prince of Orange certainly made some mistakes, they were not due to incompetence but simply to his lack of experience. 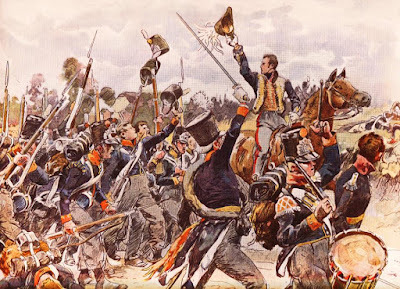 As it happened, the troops with the orange cockades acquitted themselves well and, again, if the Dutch forces had not held off the French for as long as they did at Quatre Bras, the subsequent defeat of Napoleon at Waterloo might never have happened. However, it did and so King Willem I was secure on his throne, achieving what almost all the Princes of Orange before him had dreamed of since the winning of Dutch independence. 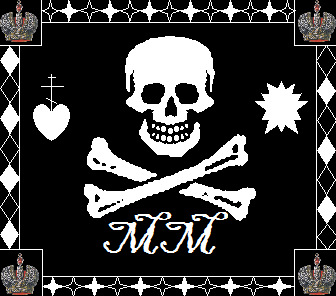 As things were established, he was also pretty much an absolute monarch, though that situation would not survive him. The French Revolution and Napoleonic Wars could be seen as the fire in which the modern Kingdom of the Netherlands was forged. At the beginning of the era, they were a republic, the Seven Provinces which was often called the United Provinces but which were far from united. Crippled by the feuds between the orange and patriot parties, the country was an easy victim of the revolutionary French. However, they endured and finally fought their way back, emerging as a strong and, mostly, united kingdom. Belgium and Luxembourg was part from them in time but for the Netherlands itself, the Napoleonic Wars were a pivotal moment in history. The Dutch had gone in as a republic but emerged as a monarchy. How would you go about convincing friends and family to become monarchists? In my case I happened to be someone with a love of history and often had good things to say about monarchists of the past and just needed a nudge in the right direction to break with the traditional republicanism of the United States, but I don't think this is anywhere near universal, so any advice would be appreciated. This is always a hard one to answer though I've been pretty good at it myself. 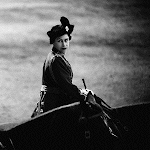 My friends and family are either monarchists or at least not opposed to monarchy (in America, it's not a terribly big issue) though the ravages of time mean there are fewer and fewer of us. What makes it difficult in giving advice is that my formula was always specific to the individual, considering what their values & opinions were and working on them from an angle determined by that. In my case, at least with my family, it was not terribly difficult. They are (or were, RIP) very religious, conservative people. So, I just highlighted what the Bible says about monarchy and politics in general, that monarchies cost less than republics and being generally conservative people they were not as hostile as some to the idea in the first place. For others, especially in my university years, this was more of a challenge and I didn't always win them over but I usually could make them ease up their knee-jerk opposition. So, with a professor who was an Anglophile, I played up the British monarchy and how central it is to the British identity, with an openly Marxist professor, I played up things like the guilds of the Middle Ages, noblesse oblige, Bismarck setting up the first social welfare state etc, for another who was a more generic liberal, I came at him from the angle of the "Enlightened Despots" and the criticism Voltaire had for democracy and so on. As I said, if you know the person, you should know what matters to them, what their values are and I can only suggest tailoring your message accordingly so that they will be open to hearing you out and then, once they are comfortable with the idea, further refinement is possible.